SECTION27 supports the extension of healthcare to as many South Africans as possible, but until the public health system is fixed and private healthcare better regulated, this will remain a chimera. 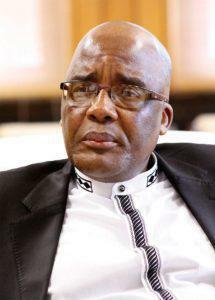 On 21 June 2018, Health Minister Aaron Motsoaledi released the National Health Insurance and Medical Schemes Amendment Bills. In doing so the government’s aim is to create a single framework for the provision and purchasing of healthcare services, to consolidate health revenue and to realise the right of everyone to access to healthcare services. SECTION27 works to ensure the realisation of the right of access to healthcare services. We therefore support wholeheartedly any efforts to achieve universal health coverage. We have, since 2009, been supportive of the development of National Health Insurance (NHI) and of Motsoaledi’s efforts to move South Africa towards an equitable healthcare system. Regrettably, we believe the Bills fail to provide a realistic path to universal health coverage. Whatever word you choose to describe it there is consensus that the health system is,possibly at its lowest point in 2018. We need to grapple with why this is the case and then target resources, policy and if necessary legislation to systemic reform. The minister’s logic, reflected in the NHI Bill, is that the crisis flows primarily from the maldistribution of resources between public and private health systems, which adds immensely to the burden on the public system. This is undoubtedly an issue. He believes that fixing the funding issues will fix the quality and access issues. We believe not. We believe that until the public health system is drastically improved and the private health system properly regulated for price and quality, it will not be possible for the system described in the Bill to function. The NHI Bill describes an admirable vision of an equitable health system. But it does not lay out a path to remedy the current crisis. Phase 2 of the NHI Bill process (2017- 2022) envisages completing the accreditation of all health facilities. Yet it does not acknowledge the deepening dysfunction of the health system, or provide a set of steps that will be taken to remedy the ailing system, let alone transform it into one capable of providing universal health coverage. How will this be done when the Office of Health Standards Compliance reported that only five of the 696 hospitals and clinics that it inspected achieved over 80% compliance with the national norms and standards? How will Gauteng, at the moment subject to effective post-freezing due to millions of rand in overspending and contingent liabilities that have left it unable to employ essential medical staff, be able to put forward its public health facilities for accreditation? The current state of the system follows the now concluded phase 1 of NHI Bill process, which ostensibly included the testing of effective health system strengthening initiatives. That we are seeing continuing health system weakness and have not seen an independent evaluation of phase 1, is cause for great concern. In our assessment, much of the current system’s dysfunction is a product of governance and management challenges. While it is easy for some to blame the minister for all governance problems, this is to detract and perhaps to distract, from the real governance issues that bedevil the system. In provinces, there remains little separation between political and administrative leadership, with politics overriding the needs of the system and its users, ensuring the deployment of unsuitable cadres and the signing or cancelling of contracts. Factional politics within the ANC, allows this undermining of the health system and the people who rely on it. The proposal relies, as part of the solution, on the functioning of a super-structure (the NHI Fund) with immense power and responsibility, including that of healthcare service providers. Splitting the purchaser of services (the fund) from the provider of services (health facilities) may encourage some efficiencies and strengthen the fund’s bargaining power. But it is difficult to see how this would forcefully address underlying governance issues. In the same way, the Bill contemplates the creation of a wide array of new structures, such as contracting units, but largely remains silent about how they would be immunised from the same rot that infects parts of the health system today. Until corruption and mismanagement is seen to be decisively dealt with such reliance will be a hard sell for South Africans who have witnessed the large scale looting of SoEs and the failure of national funds such as the Road Accident Fund as well as, the failure of provincial departments of health. The NHI Bill focuses on the creation of new structures. Other matters, such as the roles of the national and provincial departments of health and of medical schemes, remain unclear. After eight years of deliberation on NHI, this lack of detail is concerning. While we would never argue that all details need to be resolved before talking about a change in funding mechanisms for health, the paucity of detail makes it difficult to imagine how we can effect the fundamental reorganisation of the health system that the Bill envisages. Of course there are parts of the NHI Bill that we unreservedly endorse: it provides that beneficiaries may access covered health service benefits by accredited providers at no cost, which will help ensure that financial barriers do not impede access to healthcare. It also reinforces the referral system, which will reduce the cost of care for the system. The Medical Schemes Amendment Bill is more concrete and we will support many of the proposed amendments. It proposes to prohibit co-payments, which are a major barrier to access to healthcare in the private sector. The Bill also gives enhanced powers to the Council for Medical Schemes to enable it to more effectively regulate schemes. 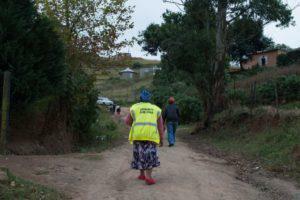 Notably, the council is empowered to amend rules of schemes that fail to comply with its directives. The Bill also goes some way to enhance the protection of beneficiaries, for example, by eliminating waiting periods for all children and people who have not been members of a scheme for less than 90 days and shortening waiting periods for those who have not been members of a scheme for more than 90 days. The amendments also strengthen consumer protection provisions. SECTION27 will be studying the two Bills carefully and will make submissions to the Department of Health as requested. This is why the TAC is calling for the cabinet and the ANC to place the Constitution and the right “of everyone to have access to healthcare services” above party interests and to give Ministers full power over non-performing MECs.